Choosing a baby cot is an important moment in the life of young parents. 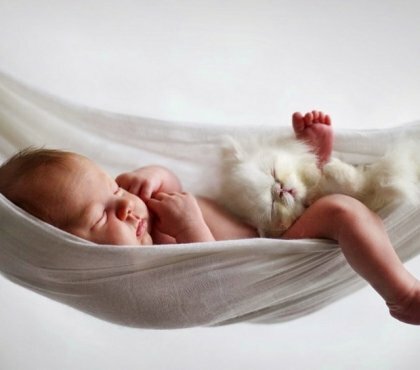 The comfortable sleep of the new born child depends on the convenience and comfort of its crib. Very often, inexperienced young parents-to-be can be misled by a beautiful and impractical appearance. Realizing that the appearance is a secondary factor is very important. 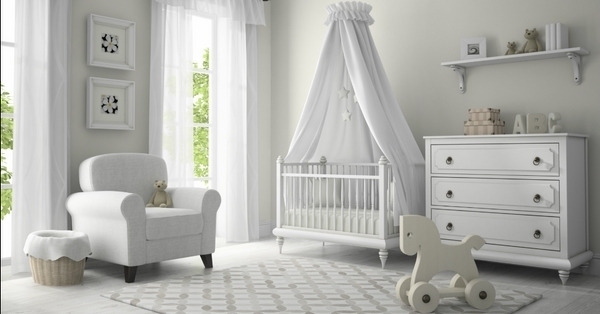 When we talk about cots for the nursery, the most important features are the quality of material, safety, size, mattress, possibly a rocking mechanism and storage space. We shall look at all these factors to make it easier for young mothers and fathers to choose a cot for the nursery. 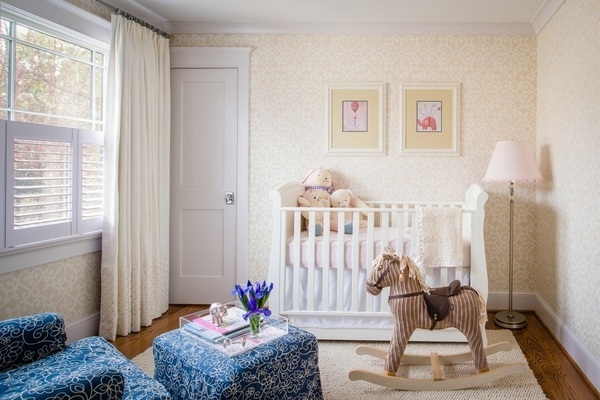 Metal cots for the nursery are a popular choice among young parents for several reasons. First, a bay cot made of metal is easy to clean and the mattress is ventilated on all sides. Metal cots are very durable and the market offers attractive models which can be used for the second and third child without losing the good looks. A drawback of metal cribs is the coldness of metal and the high price tag of designers’ models. Traditionally cots for the nursery are manufactured from wood as this is a natural material which breathes and is most suitable for babies and kids. Wood is warm and durable as material and you can choose from many types and sizes – with built in storage, with rocking mechanism. 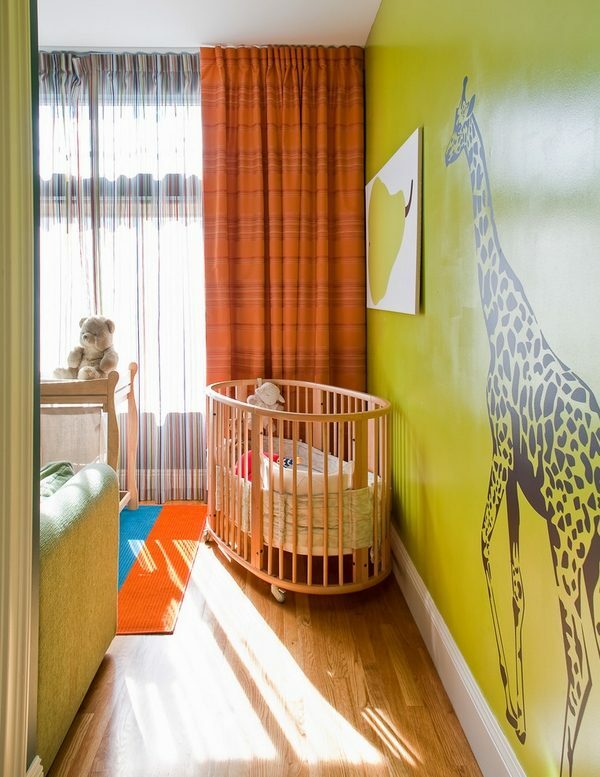 Wood is eco-friendly and safe for the health of the baby. 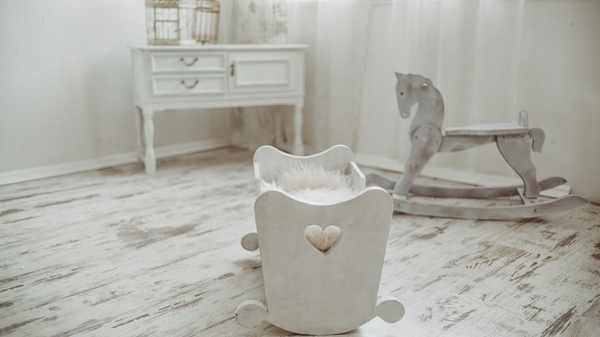 The most popular types of wood used for manufacturing baby cots are oak, beech, ash, pine, maple. Baby cots made of oak are very durable and reliable. The wood does not chip and splinter which makes it a very safe choice. When polished oak wood has a nice soft surface and a beautiful appearance. Beech is as strong as oak but more flexible to work with and create beautiful stylish, and exclusive designs. Ash is another excellent choice although the material has a higher price. 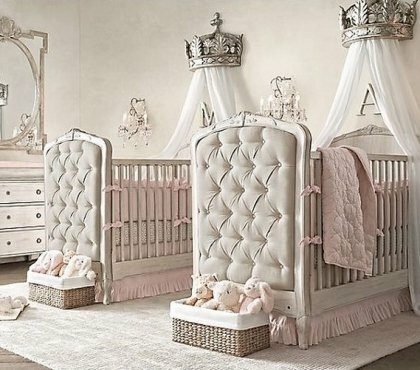 Ash cots are durable, reliable and beautiful and the warm texture, light tone and pleasant colors add to the coziness and comfort in the nursery. Pine cots are the most affordable ones. Pine meets the requirements for safety for children’s furniture as well as durability and strength. When choosing a baby cot for the nursery make sure that wood was not treated with harmful and dangerous chemicals and substances. When painted, the paint should be water-based as these are absolutely safe and can not cause any harm to the child. 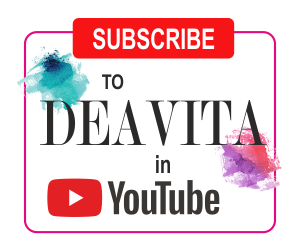 The market offers models made of polymers and the same rule is essentially important – make sure that the material used in the manufacture of cribs is not harmful to the health. Ask the seller for a certificate which will guarantee the safety. 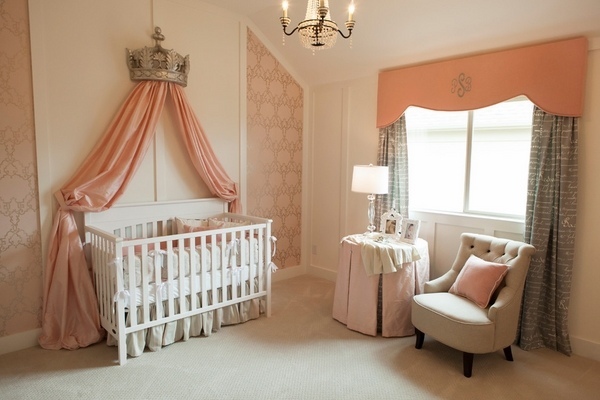 How to choose the size of cots for the nursery? Traditionally baby cots are manufactured in two standard sizes – 1.2 m long and 0.6 m wide or 1.4 m long and 0.7 m wide. The first size is very comfortable and fits into small rooms and provides enough space for the baby to sleep in comfort. The second size is more functional and practical from a point of view that over time it can be transformed for the younger child. There is a third option for custom made cots for the nursery which can be manufactured at exact dimensions. In that case, however, parents may have difficulties with finding a mattress. The safety and security of baby cots are the most important factors which future parents should keep in mind when shopping for their baby. It is always recommended that you choose natural materials, hypoallergenic paints and varnishes. Make sure that there are not carved ornaments and sharp corners which may hurt the baby or get suitable protective padding. Pay attention to the rails and vertical bars of the crib. The advisable distance between them is in the range of 6-8 cm and they should be perfectly sanded. Most models have adjustable side walls. Check that the mechanism can be secured safely. The mattress is another important feature of the cot. Most cots are offered with a mattress which perfectly fits to the size of the cot. It is important that the mattress was filled with a safe and moderately hard material. Pay special attention to the lining of the mattress – it must be made from natural and durable fabric. 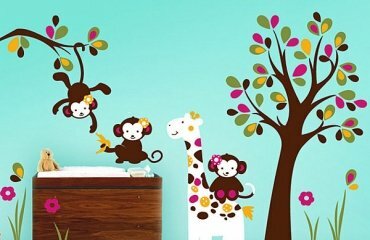 Cots for the nursery – how to choose the right model? The market offers a huge range of cots for the nursery and it is so easy to get lost in the ocean of models and designs. 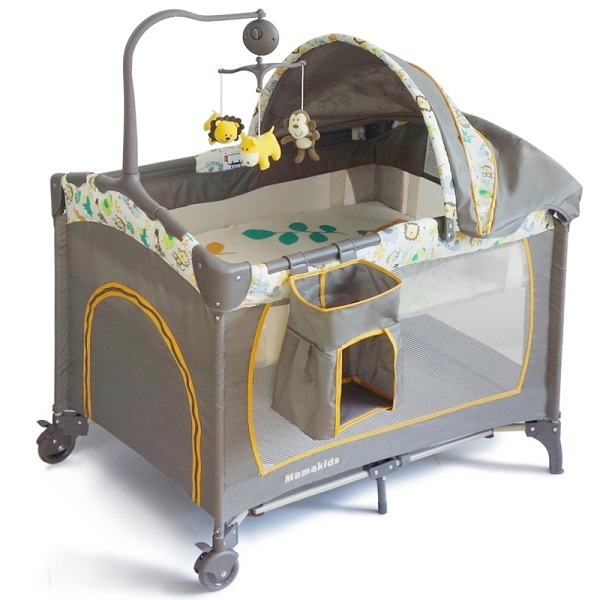 The main types of cots include cradles, cribs, transformers, models with removable basket. A cradle is a very convenient solution for the first six months of baby’s life. 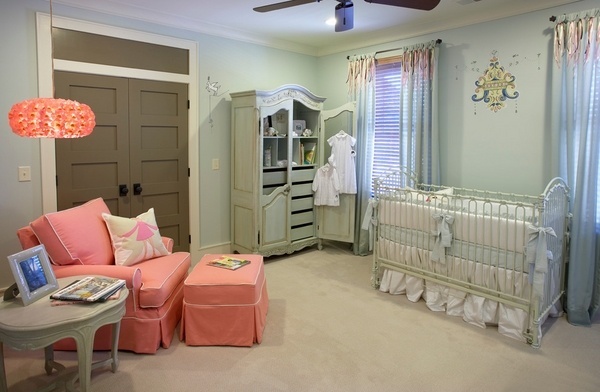 Cradles have a small size and can be easily moved from one room to another. However, when the baby learns to roll over and sit down, he will need a cot as the cradle will be too little and not safe. 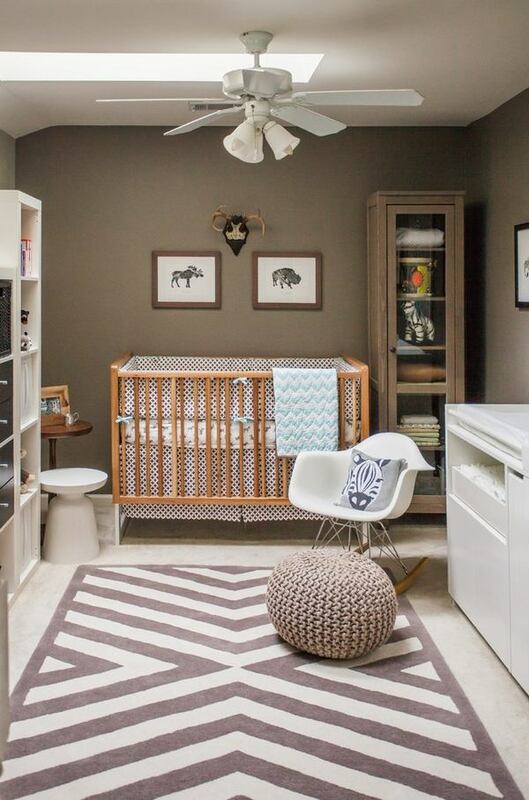 Transformer cribs are very functional and convenient as they usually combine the function of a bed and another piece of furniture – a changing table and / or chest. Transformer cribs can be used for babies and children up to 6-7 years of age. There are models which can be extended even more and can be used for teen bedrooms. Folding cots are especially convenient to use when traveling. They are made of light materials – metal, plastic and special fabric. All elements are easy to clean and typically these models do not need a mattress, but if desired, it can be purchased separately. Do not buy a baby cot with uneven surface – even a small crack can be a great threat to the health of the baby. 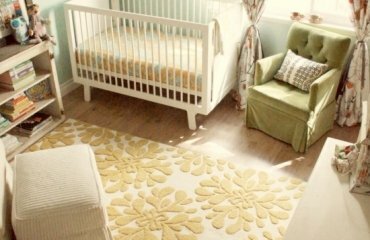 Do not buy a baby cot without checking for health certificate and certificate of conformity when the crib is painted or varnished. 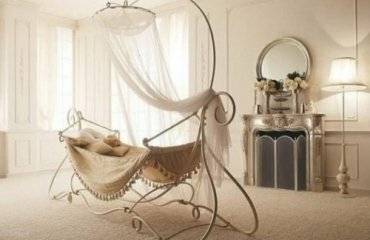 Do not buy a cot which exudes a noticeable smell of paint materials.